Open Monday through Friday 11AM to 9PM. Dinner service starting at 4PM. In the comfort of your home or in the convenience of your workplace, Ferrari's A'Roma Ristorante can make any place Delicious! Contact us to create a memorable experience for your next catered event. Visit our website, www.aromalapalma.com for menus and pricing. From corporate functions to family gatherings, Ferrari's A'Roma Ristorante makes any event enjoyable and unforgettable. At Ferrari's A'Roma Ristorante, it's all about great Italian food, attentive service and an atmosphere where you feel truly welcomed into our family. We are the Ferraris; Joey, Anthony, Adriana, Josie and Luigi. Together, with our professional staff, we offer you what we feel is an exquisite dining experience. Once you taste "La Vera Cucina Italiana" you will be tempted back again and again. See our menu for some mouth-watering choices; gluten-free and vegetarian options available. Join us in the intimate "Ferrari Bar" for your favorite cocktail or a glass of wine from our hand selected list. For more information about us, please visit our website. A'Roma soups are individually handmade and seasoned to order. Please allow a few minutes to prepare your favorite "zuppa"
Mozzarella and Marinara sauce. That's it! I always recomment A’Roma’s. It is my go to place. Absolutely LOVE this restaurant and the family. Service is fantastic. Feels like dining with family over a beautiful meal. Perfect for date nights, family dinners or large groups. Good Italian food, served by attentive, friendly staff with a smile and genuine interest in your enjoyment. Just a nice quiet evening dinner. Food and service was excellent! 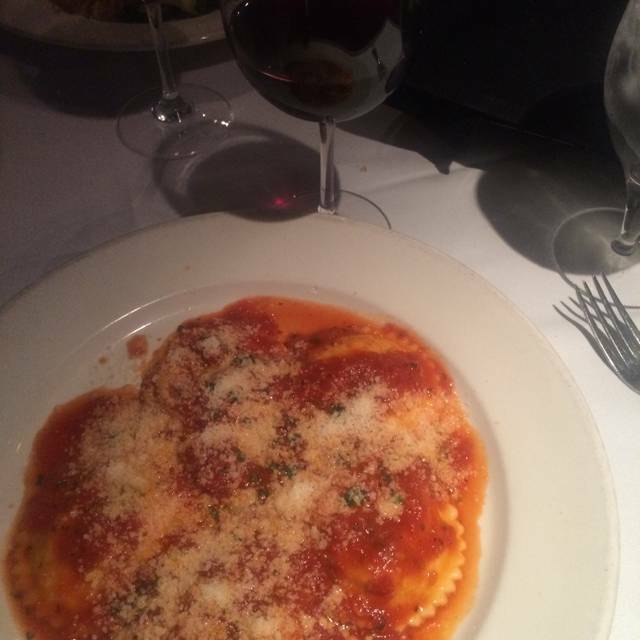 Outstanding cuisine and the very best Italian food in North Orange County. The restaurant is owned by the Ferrari family and their attention to detail, care and concern that your dining experience is the best is evident. The pasta and meat dishes are the very best and don't forget to order the heavenly cheesecake for dessert. Wait service by Ian is attentive and caring. Wonderful, incredible experience. We had a great time at A'Roma! The food was lovely and delicious, and the ambiance was beautiful! One of my favorite restaurants; never disappoints. It's always fun to introduce friends to this restaurant. Incredible, amazing experience at the very best Italian restaurant in North Orange County. This wonderful family owned operation has every dish you can imagine and they are all excellent. From the wonder pasta dish we had to the incredible carne dishes, everything is prepared to perfection. Service by Marina is amazing and top notch. The food was good, but chicken piccata sauce lacked flavor. The wait staff was very attentive. Staff and food are awesome! Great place to go before seeing a show at the Cerritos Performing Arts Center. I had a reservation for 3, was seated 45 minutes late! Restaurant overbooked large parties and gave priority to large party reservations, everyone else was toast! Restaurant is mismanaged, needs right policies and procedures. I will not eat there again. I had been going there almost every month for 2 years. It was a pleasure speaking with you today, wanted to reiterate we appreciate any/all feedback and hope to gain back your business in the future. Thank you for your extended understanding in regards to unforeseen situations that occur in this industry without notice and allowing me to explain how it is never our intent for any reservation large or small to feel over-looked. We are still very happy you stated that your meal was everything you expected it to be and are used to during your A'Roma. Excellent food, with good service. Ian is a particularly good waiter. A'Roma is always an excellent experience. I've had business lunches, intimate dinners, and large parties, and the team there never fails to deliver excellence. It's the best "white tablecloth" restaurant for miles around. My family I love this restaurant. Great Service, Great Food and at a reasonable cost. The staff is attentive from the moment you arrive to the moment you leave. Don't miss the opportunity to try the lasagna. Service was excellent, each entree was tasty, and we enjoyed ourselves! One of our favorite places to dine! Easy access to freeway on and off. We always go to A Roma before going to the Cerritos Performing Arts Center for a concert or play. The food never disappoints and the servers are attentive. 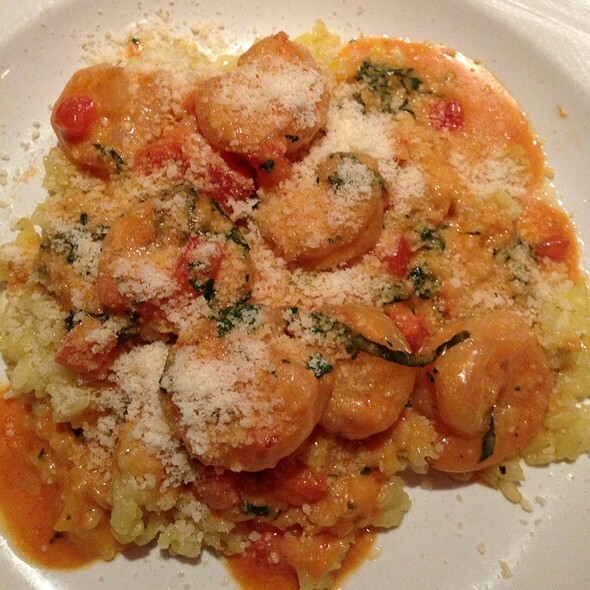 A’Roma is a family owned and run Italian restaurant with traditional and unique cultural cuisine. It’s an upscale atmosphere that feels like home. Service is always top notch, the food is beyond delicious, and the prices are worth what you get. My name is Adriana, Operations Manager here at A'Roma. I would like to start by saying we appreciate your business and also for your feedback. I was actually the one who greeted and seated you last night. Either by human or technical error I did not see any notes for a birthday when you checked in, I do apologize. We know birthdays are special celebrations so it is never our intent to over-look. Ultimately the goal is to make it right so let me know how you want to proceed. Have a great day! New York Italians more than approve!!! 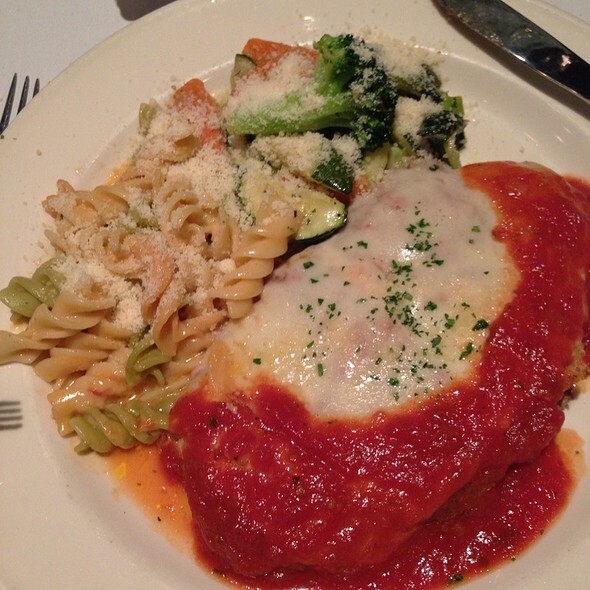 Some of the best of Italian food we've ever had. Everything on the menu is delicious. I didn’t think anyone could be better than Dominico but she is outstanding. Best food in the OC!! Wonderful restaurant!! Never fails on all accounts! Recommend to anyone looking for a delicious authentic Italian experience! 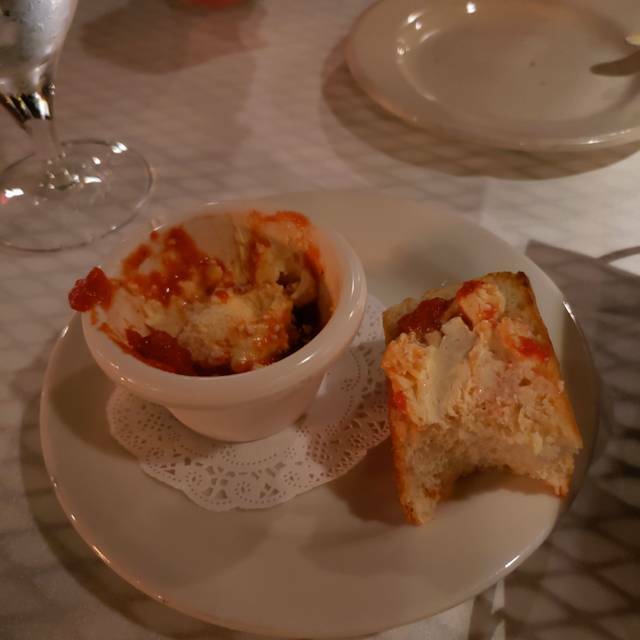 This is my second visit to A'Roma Ristorante and I was pleased again. Our server was friendly and attentive to our table, we had soup, salad, entrees and desert and all was superb. Wonderful service, excellent food and prices that are affordable. The daily specials are just enough to have confidence the kitchen will do well with them. And, plenty of parking. Ian is an excellent server. Incredible, wonderful and tasty food. This restaurant has it all. Amazing cuisine, world class service from Ian and a lovely array of pasta, meat, chicken and a wonderful array of nightly specials. The veal is the very best. 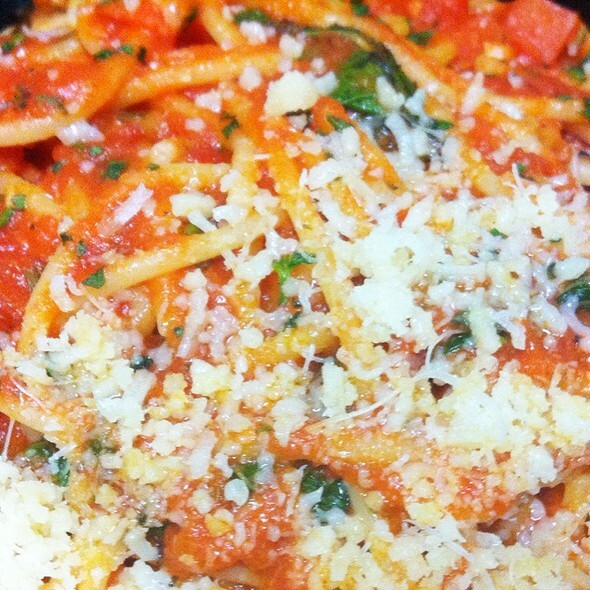 The pasta dishes are cooked al dente. It's North Orange County's answer to quality prepared Italina dishes and close attention to detail from this family own restaurant. A 'don't miss' opportunity. Excellent meal and experience. Joe is great!! Staff is very good. Always delicious. Ambience is always romantic. Service is usually good to great. Love the bread and the marscopone and marinara sauce to put on it or dip in. The salad is simple, dressing is light and mild but always very tasty. Haven't had an entree I didn't like. Speaking of 20+ years of going there. Great service. Food had some issues but overall very good. Shrimp in appetizer was a little overcooked. Ossobucco was fantastic. We had booked Valentine’s Day reservations though open table. Super easy. We needed a last minute change, but had to call the restaurant to make the change. That was easy as well. We arrived a little early and were seated immediately. The staff was friendly and accommodating. Thanks Open table and thanks A’Roma! It was very nice for Valentines Day dinner. The Strawberry Cheesecake was outstanding! Everything from food to service was beyond amazing. It made my boyfriends 1st time experience beyond great. We can’t wait to come back.